If you were to take a straw poll among your peers regarding their perception of prescription opioids, you might think that everyone would respond saying that they were concerned about the drugs. If asked why, they would probably respond by saying that they are addictive and carry a high risk of overdose. Such responses would seem typical given the ongoing crisis being seen across the country regarding opioid narcotics of any kind. Every day, around hundred people die from an overdose. The perceived danger that people have regarding a substance can have serious impact on whether or not someone tries a particular drug. Marijuana is used more than any other illegal drug, due in part to people viewing the drug as being relatively benign. Shaping public perception is of the utmost importance when comes to curbing experimentation, abuse and addiction. To be fair, prescription opioids while deadly, are extremely effective at treating pain. No other type of drug available compares with opioids' efficacy. One of the major tasks that physicians have is treating pain, so it makes sense that they will prescribe opioids when they are deemed necessary. On the other hand, doctors also have an obligation, that of ensuring the safety of a patient when it comes to the types of treatments they prescribe. A conflict of interest that is glaring, to say the least. With that in mind, it is vital that doctors turn to alternative forms of pain relief before relying on prescription opioids, per recommendations from the Centers for Disease Control and Prevention (CDC). While there is existing evidence showing that primary care providers are curtailing the willingness to prescribe such drugs for the treatment of acute pain, the NPR-Truven Health Analytics poll found that 57 percent of adults say they have been prescribed an opioid painkiller at some point, compared with 54 percent in 2014 and 50 percent in 2011, NPR reports. Perhaps most disturbing, the new poll showed that only 35 percent of those taking opioids had concerns about the drugs, compared to nearly 50 percent among those not taking prescription opioids. The latter findings are important, and highlight the need for patients to ask their doctor, “Why are you prescribing me opioids, given their addictive and deadly nature?” Acute pain is temporary, and the risks associated with using opioids probably outweigh the benefits of relief. The survey indicates that 74 percent of opioid prescriptions were for acute pain, compared to nineteen percent who said they received opioids for treating chronic pain. "Ask why," says Dr. Leana Wen, an emergency physician and commissioner of health for the City of Baltimore. "Often, other alternatives like not anything at all, taking an ibuprofen or Tylenol, physical therapy, or something else can be effective. 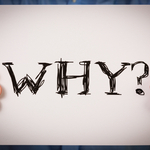 Asking 'why' is something every patient and provider should do." The Truven Health Analytics®-NPR Health Poll surveys approximately 3,000 Americans every other month. The goal is to determine the attitudes and opinions on a broad spectrum of healthcare issues.